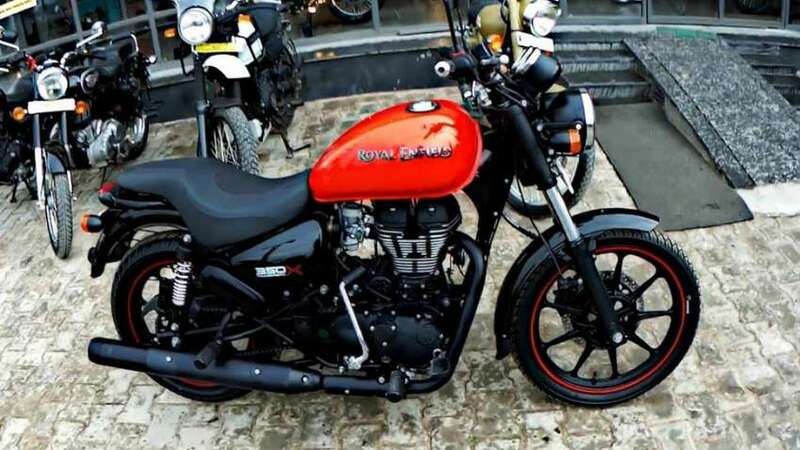 Royal Enfield Thunderbird 350X ABS Launch In India Features And Price: Royal Enfield has introduced its Thunderbird 350X ABS model in the Indian market. Thunderbird 350X is designed keeping youth in mind. Customers will be able to purchase it in two color options - Rowing Red and White. The Royal Enfield Thunderbird 350X ABS has been priced at Rs 1.60 lakhs in India (ex-showroom, Bangalore). For Thunderbird 350X ABS model, the booking has started on all dealerships across the country. This new bike equipped with ABS can be booked by giving a token amount of 5,000 rupees. Delivery will be delivered within 15 days of booking on the availability of the dealer. Thunderbird 350X ABS has 346cc air-cooled single-cylinder engine. These engines generate power of 19.8bhp and pickup torque of 28Nm. This engine has been connected with the 5-speed gearbox. 19 and 18-inch tires are given respectively at the Royal Enfield Thunderbird 350X ABS Front and Rear respectively. For brake, this bike has a single 280mm disc in front and a 240mm ventilated disc in the rear. Standard ABS is given for support in both front and rear discs. Apart from adding ABS, there has been no change in the overall design of Royal Enfield Thunderbird 350X ABS. Also, the performance of this bike will remain the same. Brake capacity will be better due to the presence of ABS only.